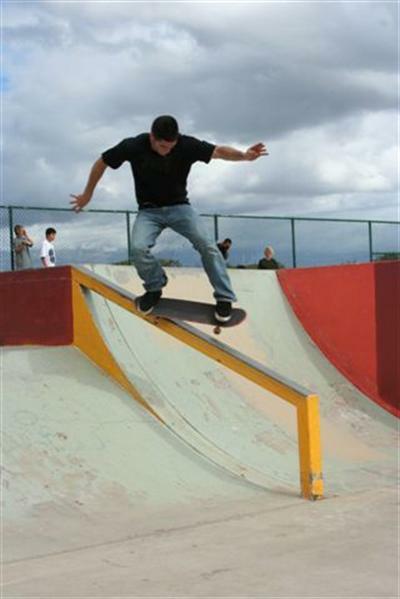 Maui Now : Ask the Mayor: Why Tear Up Existing Sports Field for Skate Park? Ask the Mayor: Why Tear Up Existing Sports Field for Skate Park? Q: I was wondering why the county would tear up a perfectly good field in Pukalani that many kids use for soccer and various sports to build a new skate park on, when the County of Maui owns an adjoining piece of property right between the school and baseball park. It would seem like a better solution to build skate park there and not take a practice field away. Children now are having to be driven downtown to practice soccer, with the loss of the field. A: Initially, three park properties were selected when the new skate park was being considered. They were near Kulamalu, Eddie Tam and the area you’re talking about now, which is the lower field near the Hannibal Tavares Community Center. During the site selection process with the public, the community said the community center’s lower field was the better area for a number of reasons, including having public parking, fulfilling ADA requirements and police accessibility. Also, the site did not require a lot of cut and fill and had a higher probability of not hitting blue rock since the site was already graded. Finally, our permitting personnel said the park was hardly used for sports based upon the number of permits—or in this case, lack of permits—that were filed by the community to use the field. Ask the Mayor: Why Does Kīhei Park Look Like Mohave Desert? 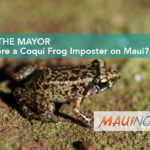 Ask the Mayor: Is There a Coqui Frog Imposter on Maui? 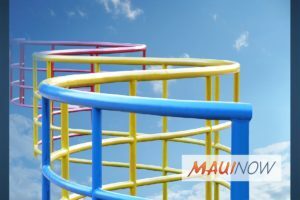 Ask the Mayor: Can We Have More Facilities at Pukalani Park? 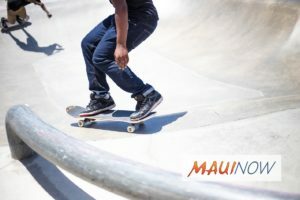 Ask The Mayor: Are There any Plans to Maintain, Repair, Improvement Keōpūolani Skate Park?